In a world where new products and technology are being introduced every day, a Welsh industry designer challenged the idea of modernity, suggesting a new perspective of returning to the fundamentals. 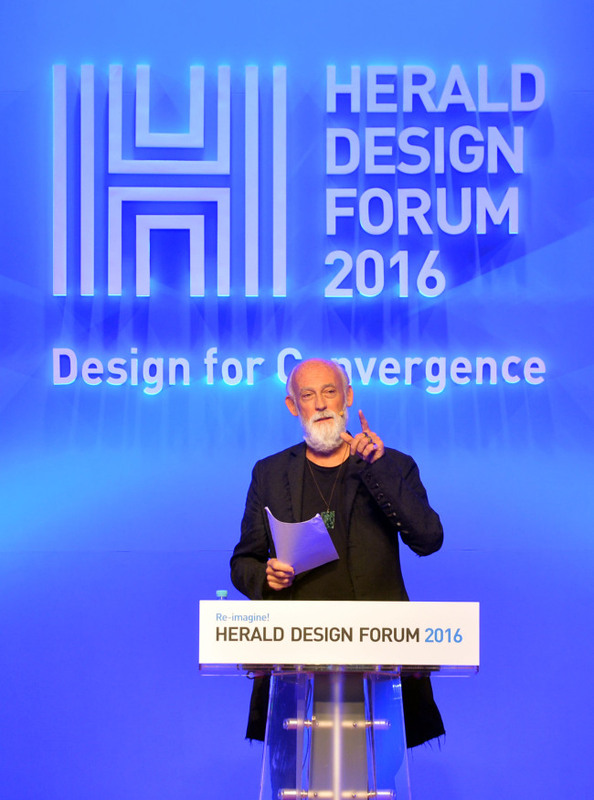 Speaking at the 6th Herald Design Forum held Tuesday at the Grand Hyatt Seoul, Ross Lovegrove, the designer of Sony’s Walkman cassette player, asked some fundamental questions concerning design and humanity to the audience of some 800 people. Lovegrove, who originally studied cooking, explained that he became fascinated by how food was transformed through the application of heat. 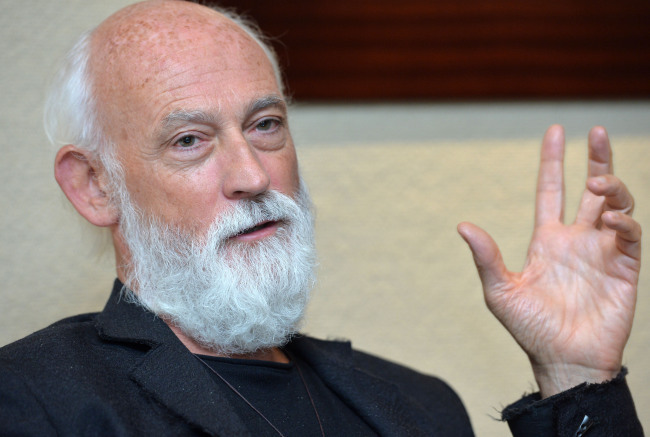 At the forum, he introduced some raw materials that he works with, such as aluminum, carbon, oil and copper. The discussion of materials reflected Lovegrove’s concerns for the Earth and the environment. “No Earth, no humans. No humans … and it’s pretty happy Earth. It is the matter of how to find balance between them,” he said. In today’s society where there is a big desire for evolution and innovation, Lovegrove urged designers to think about the core values. He added that designers would truly develop their instincts again when they come out of their comfort zones. Lovegrove urged designers to think of convergence of art, design and technology to truly pursue “evolution,” giving the example of 3-D printers: It would allow one a chance to return to the fundamentals and find customized objects that they can use with full efficiency. From machines such as the Walkman cassette player, which evokes nostalgia in the older generation, to everyday objects such as chairs and shoes, Lovegrove touched on many objects that would “innovate” the lives of people.